Can these be used for barends? I have an old Shimano barend shifter with broken handles, seeing as these use same braze bosses as Shimano, would it be possible to mount them on my old Shimano barends if i remove the old broken handles? This will probably work, but we honestly have not tested it! Do Shimano and Sunrace use the same braze bosses ? Thank you for your enquiry, I can confirm that the Shimano & Sunrace use the same braze bosses. I hope this helps. Hi there, are these indexed to suit Shimano or Campag? Or do they provide both types? These are to suit Shimano, and will not work with Campagnolo. 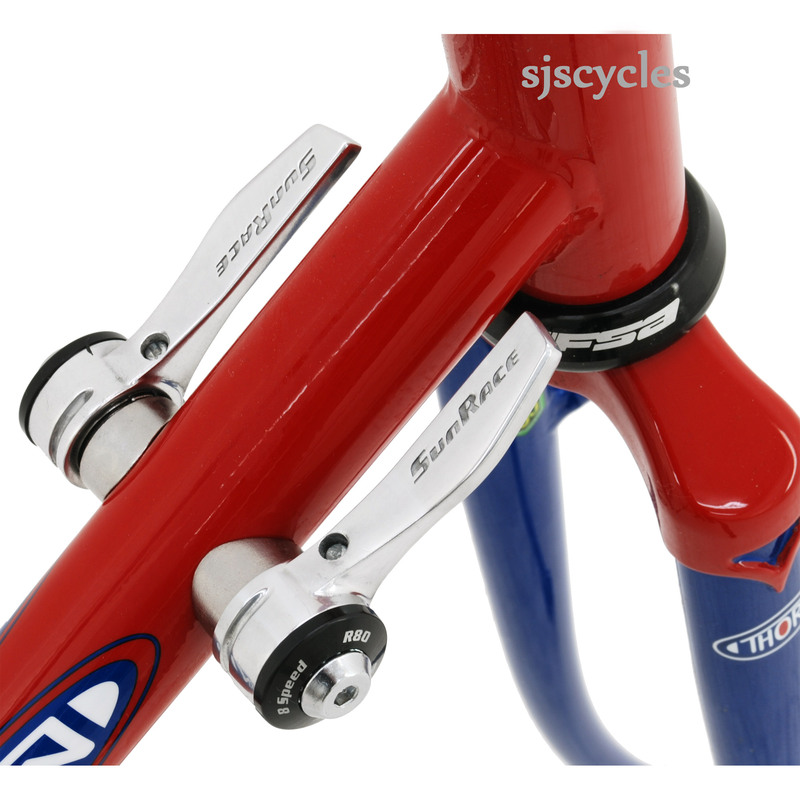 These shifters should be fine for use with an 8spd rear derailleur and a triple front derailleur. Will these work with 7 speed cassette ? In theory you could use these with a 7spd cassettes but as the shifters are 8spd you would just have an extra click that didn't do anything. Is it possible to use the right hand lever in friction mode or will it only work in index mode? The right hand shifter can only be used in the index mode I'm afraid.